Infographic: How can developers best take advantage of tablets? The more the tablet market grows, the more it seems that it's hiding a subtly different kind of user, and a lot of new use-cases to bear in mind. Porting can sometimes seem like a case of scaling up the art assets and slapping "HD" on the end of the name, but dig a little deeper into how tablets are used - and who uses them - and you'll find a lot of interesting differences that go beyond screen inches. Our latest infographic highlights some of the most interesting features of the emerging tablet market, from ad spending to social networks. 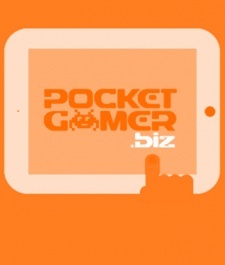 Please do download this image and to host it on your own site, with the proviso that you must include a link back to this page - http://www.pocketgamer.biz/r/PG.Biz/PocketGamer.biz/feature.asp?c=47051. Studying Computing in London means that Michael looks for any excuse to get away from error messages and blank screens. Puzzling and platforming on the DS are his ultimate escape.